Spring is the season that brings Midwesterners the most anticipation: the brown to green, the burst of delicate pink and white blossoms on fruit trees, the low dare devil swooping of nesting birds while driving—a welcoming confirmation that we made it through. Even dandelions delight our eyes, scattered replicas of the Sun. The first grass mowing. A celebration as new leaves cover bare limbs to make changing patterns of shade. 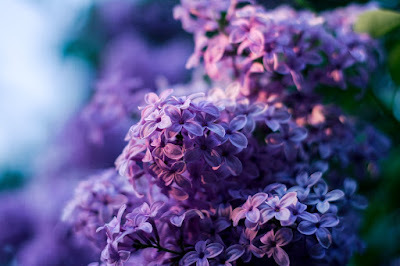 We open the car windows driving past lilacs.